Usually it takes close to 45 minutes to find all the things happening at Art Walk. What is going on? Is everyone scared D.A.R.T. going to line us up and search everyone? Help me out there has to be more notable things going on then this. A ODE TO THOSE THAT TOOK THE TIME TO MAKE FLIERS. 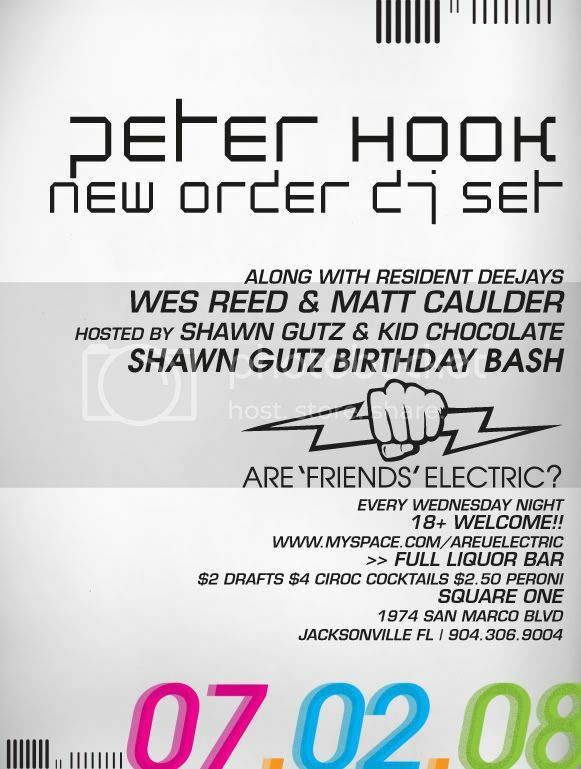 Peter Hook was just busted for a fake DJ set.All he did was throw on a mixed cd and twist a few knobs. Check it out here.http://www.altnation.com/forums/band-music-chat/130051-peter-hook-s-fake-djing-exposed.htmlGreat Bands in his past, but his days are done. He’s just some old dood. keep the fake id’s and your nickel bags at home….D.A.R.T is on the patrol…. 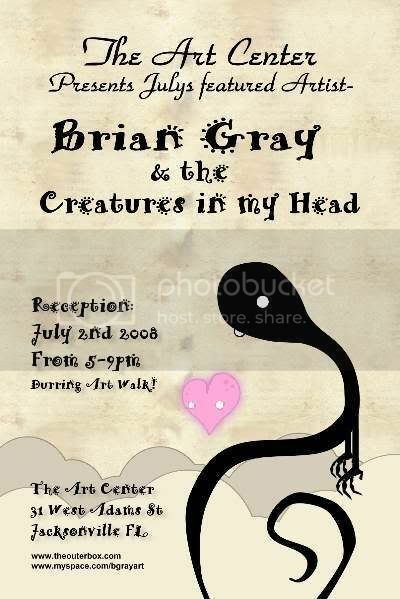 Thanks for stopping by the gallery last night. I had a blast. Rock on JaxScene! Click image to see set. All photos by David W.